US Special Operations Command signed a contract with Alabama-based defence contractor Dynetics for supply of over 1,000 Small Glide Munitions over four years. The SGM is a small precision guided standoff missile, meaning it can be launched outside its intended target area and glide all the way to until impact. US Special Operations Command plans to award a sole-source contract to Dynetics Inc. for additional GBU-69B Small Glide Munitions, IHS Janes reports. The deal, which will supposedly be signed in July, will see Dynetics provide USSOCOM with the missiles, known as SGMs, until 2022. USSOCOM will buy 700 SGMs in the first two years, then 900 in 2020, and then 1,000 for the remaining two years, according to IHS Janes. Dynetics’ SGM is a small standoff missile. At just 42 inches long, it is smaller than the Hellfire, but packed with 16 more pounds of explosives. As a standoff missile, its range is also superior to the Hellfire. 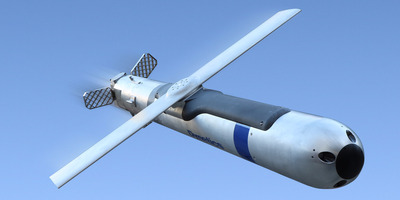 Standoff missiles, particularly the SGM, essentially act as small precision cruise missiles and glide bombs, and are often compared to short-range ballistic missiles. The lattice control fins at the end of the missile are similar to the GBU 43/B Massive Ordnance Air Blast, and the GBU-57A/B Massive Ordinance Penetrator, both of which have control fins designed by Dynetics. Dynetics has attached the SGM’s seeker nose section, tail kit, and wing assembly directly to the warhead case, making the system adaptable to different warheads and able to carry different systems. Unlike the Hellfire, the SGM can be detonated on impact or in the air while it is in close proximity to its target. The SGM is specifically intended to be attached to UAVs and AC-130 gunships. Its longer range will enable pilots to strike at targets on the horizon, meaning the aircraft will no longer have to be directly over, or in close proximity to whatever it is striking. This allows the delivery aircraft to be outside any defences that may be used against it, like man-portable air-defence systems. For example, SGMs could enable the US to strike Taliban camps in Pakistan without crossing into its airspace. Dynetics was awarded a contract by the Air Force last June for 70 SGMs to be delivered over a 12-month period for use by USSOCOM. The deal included an option to supply 30 more munitions to the Air Force. Given that they have now placed a much larger order, it would seem that USSOCOM is quite happy with its performance so far.